Relaxation-based yoga, mindful cannabis, and rad community, that's Ganja Yoga. Founded in 2009 by author Dee Dussault. 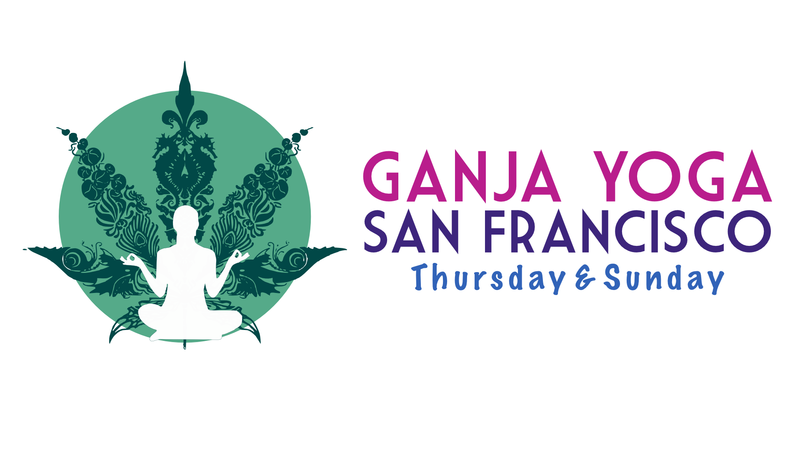 Join Ganja Yoga™ - certified teacher, Javiera, who teaches an all levels enhanced slow flow for relaxation and good vibes. $20/class (or 2x$20, yes, same price to bring a friend during April). Arrive 4:20 - 5PM for (optional) smoke/vape/your choice social prior to class. Enjoy a fun social circle within the cannabis friendly yoga community. BYO To Pass and Share! Yoga goes 5 - 6:30PM, with optional time after class for tea if you'd like. You must be age 21+ to attend. Bring ID. Pre-registration and online payment is required to reserve your space. No walk ins, no cash please! No experience or consumption necessary to enjoy Ganja Yoga. Enhance at your choice or not at all. Beginner friendly! Do we need a MMJ card? Is cannabis provided? Medical cards are not required since Prop 64, however, since it passed, we've had to become a "BYO" event." Adults are legally allowed to share, and there's always plenty to go around. Do I have to use cannabis at Ganja Yoga? Yoga is great, altered or not. Sometimes students feel like to enhance their practice with cannabis, cacao, essential oils, certain music (etc. ), and other times, having a yoga practice without cannabis feels better. Its always up to you. Bring a yoga mat, props (2 blocks, bolster, strap) and water bottle. If you don't have a yoga mat, we will have a limited number of yoga mats and props available to borrow for the class. Those are available on a first come first served basis. How much ganja should I consume for this practice? First-timers to Ganja Yoga or yoga in general should consume less cannabis than they usually do, so the experience of yoga is enhanced. Everyone's relationship to cannabis is different. Is it safe? What if I haven't done yoga before? Our flow is slow, mindful, and relaxation-based. All levels friendly! Moksha Life Center is just a few minutes walk from BART and other public transportation options. If you drive yourself to the event, a Designated Driver is Required. If you do not have a DD, please schedule a cab / rideshare.